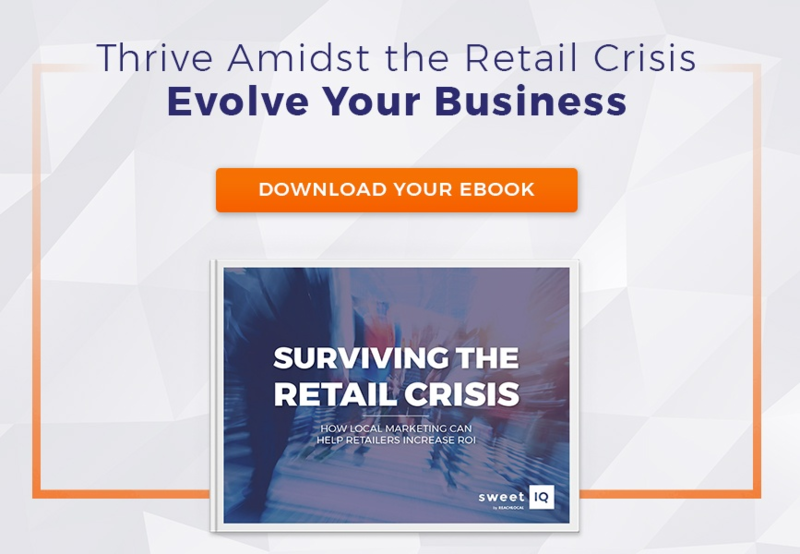 The recent news cycle is alluding to a complete overhaul of retail as we know it. Established brands like J. Crew are finding themselves in difficulty, while digital upstarts like Net-a-Porter are taking a huge piece of the retail pie. But it’s not all doom and gloom: brands that have focused their energy on innovation are thriving. What’s it take to innovate? Provide something novel in store that attracts local consumers, have an excellent product, and connect the dots between your online-to-offline consumer. If you’re a brand in transition right now — take a note from these powerhouses who have it all figured out. Founded in 1990, Ulta started as a mall beauty brand and has grown to be the largest beauty retailer in the States. After slow sales in the mid-2000s, the brand brought on a new CEO to revitalize its retail concept with great success. Sales in 2016 were up 23% and the brand is set to continue to grow. How did they do it? By transforming their in-store concept, adding treatment rooms and selling high-end brands like Clinique and Stila alongside drugstore brands like L’Oreal and Ulta’s own-brand offering. There’s now a beauty salon in every Ulta store across the country, with treatments ranging from haircuts to Dermalogica facials and Benefit brow-shaping. The last piece in the brand loyalty puzzle? A reward card scheme with points that expire every three months plus an extra bonus for big buyers. Customers spending over $450 in a year get upgraded to “Platinum” status – the perks of which are hinted at but not explained – creating a sense of urgency and a good reason for customers to keep coming back for their beauty buys. Renowned for their well-cut basics in a rainbow of colors, Japanese brand Uniqlo (a compound of the words Unique Clothing Warehouse) has something of a cult following. The first store opened in Japan in the mid ‘80s but the brand really took off when it launched flagship stores in New York, Paris and London ten years ago. What makes the Uniqlo store experience unique? First, the space. The flagship stores are wide open places, painted white at every turn, with shelving from floor to ceiling displaying cashmere sweaters in color order. Backlight neon stairs and glass boxes containing the store mannequins make the space feel like a modern art gallery. Second, the innovations. Uniqlo has created T-shirt collections featuring the works of Jean-Michel Basquiat, Keith Haring and more, as well as introducing several of their own lightweight technical fabrics including their winter-warming Health Tech range. Last but not least, the customer service. Uniqlo offers a free alterations service in all its stores (with a minimum spend of $20) within 24 hours. Which means you can go shopping in New York for the weekend, get your pants tailored perfectly to you with time to pick them up before you head home. You can tell there’s a Lush store in the mall well before you see it. The company’s signature fresh fruity fragrance is unmistakable. And that’s just one of the elements that turns Lush customers into passionate brand advocates. All its products are made by hand, with the name of the maker listed on the packaging. The company is committed to cosmetics and bath products which are 100% vegetarian, no animal testing, nor harsh chemicals or unnecessary packaging – the slices of soap are sold wrapped in paper. The quirky and fun product names such as their “Wash That Man Right Out of My Hair” shower gel, blends a sense of fun with a conscientious approach that resonates with their customers (approximately £18 million has been donated to worthy causes through their “Charity Pot” body lotion). Stores are brightly lit, welcoming and perhaps most importantly, famous for their friendly sales assistants. In fact, Lush was named the #1 Customer Experience brand in the UK in 2015. The brand prides itself on giving out expert recommendations in-store, and only selling customers the products they need instead of upselling unnecessary extras. Club Monaco, was founded by Canadian entrepreneur Joe Mimran (who also created Joe Fresh), before being bought out by Ralph Lauren in 1999. The brand has undergone a transformation in recent years, turning its tired brick and mortar stores into hangouts for trendy urban types, adding desirable items from other cool brands, and creating plenty of reasons to stay and linger in-store. The New York flagship in the Flatiron district has an outpost of the Strand bookstore, a fresh flower stand and coffee by cult Brooklyn roasting company Toby’s Estate. This successful formula has been repeated in major cities across the world, using elements that chime with the local crowd each time, such as vintage clothing section at the Redchurch Street store in London. The brand even hosted a pop-up shop at Noma, the world’s coolest restaurant. Talk about hipster credentials. OK, so Nike has been setting sneaker trends for decades, from Air Jordans to your own pair of monogrammed kicks. What keeps customers coming back to stores? The brand is not afraid to innovate to keep the retail experience fresh. One feature that shoppers love is the expert advice. You can lace up a pair of sneakers, hop on an in-store treadmill and have your run recorded and reviewed by a trained associate who will analyze your running style then recommend the right type of shoe for your gait. At the New York flagship the road-test-your-sneaks goes to even greater levels with an in-store basketball court that monitors your playing style and gives you feedback on your game. And the innovation doesn’t stop there. Nike has been experimenting with concept stores, such as Flight 23, a Jordans-only store with outposts in Brooklyn, Vegas and Chicago among others.